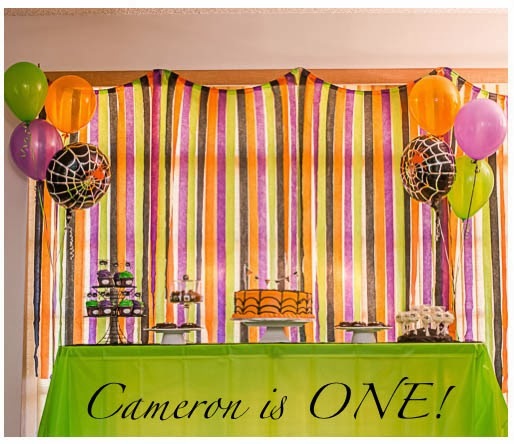 A Tribe Called Condon: Cameron turns ONE! I did have time to plan an out of town birthday bash though. Since Rich and I had a wedding to attend the weekend of Cam's birthday, we decided to host the festivities down in Port St. Lucie, at my mom's house. She was gracious enough to allow this and helped tremendously, as always. The evening was much success. We had a spooky spider themed party and most of the kids wore their costumes. Fun was had by all, and Cameron was overwhelmed with fun gifts, people and excitement.